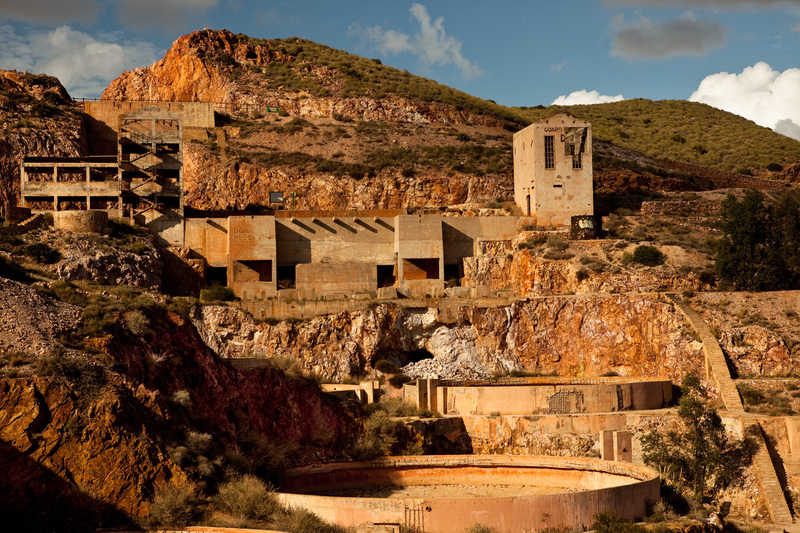 The surviving structures of the Denver mining plant hang precariously off the hillside above the town of Rodalquilar, inside the Cabo de Gata Natural Park. 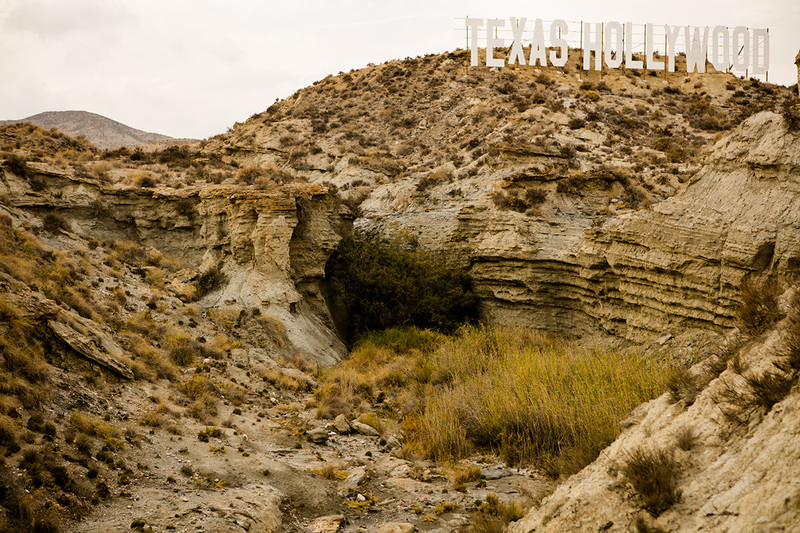 When the mine was constructed during the 1950s, it was believed there were vast gold deposits hidden under ground. But the state-sponsored enterprise failed to meet expectations and the mine was abandoned in 1966. In the summer of 1985, the site was turned into a post-apocalyptic prison camp for Solarbabies. In the film, a mysterious police state controls the planet’s water resources, but a rebellious group of adolescents (including actors Jami Gertz and Jason Patric) escape on roller skates over the desert landscape to break into the water storage facility and release the water back to the earth. The painted letters, still readable on the mine buildings –“Dorm Block B,” and “Guard Block D”–are leftovers from the film.